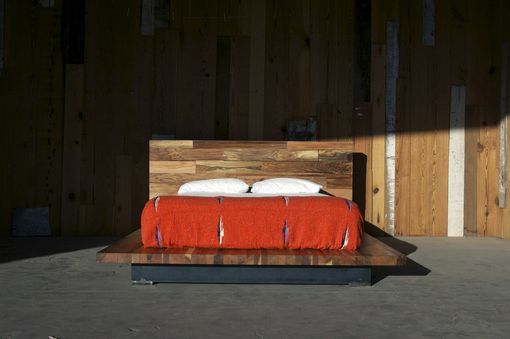 This beautiful bed is made of a mix of different reclaimed hardwoods. 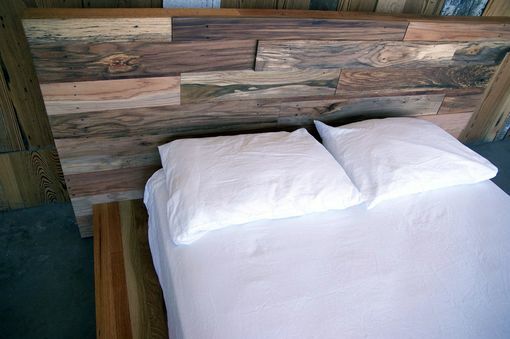 All the hardware are handmade and each piece of wood was worked individually. The legs are raw and made of waxed steel. Available in typical sizes and double King. The maker is looking to mix in some first source wood as well in subsequent builds, in order to streamline the process. 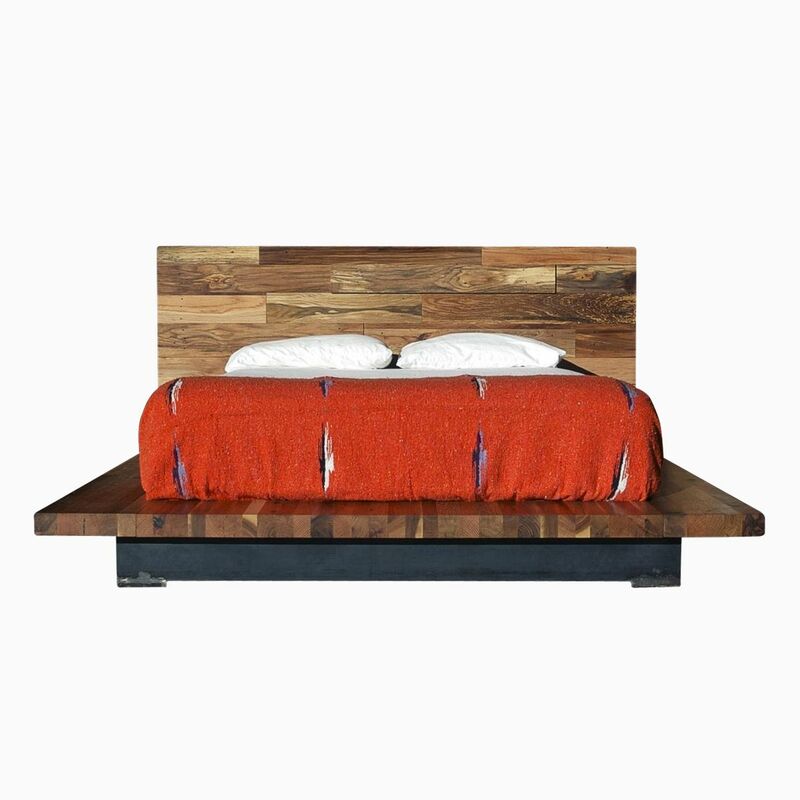 Although a bit heavy, the bed can be taken apart into four pieces for easier move.